Battery Lifetime: How Long Can Electric Vehicle Batteries Last? 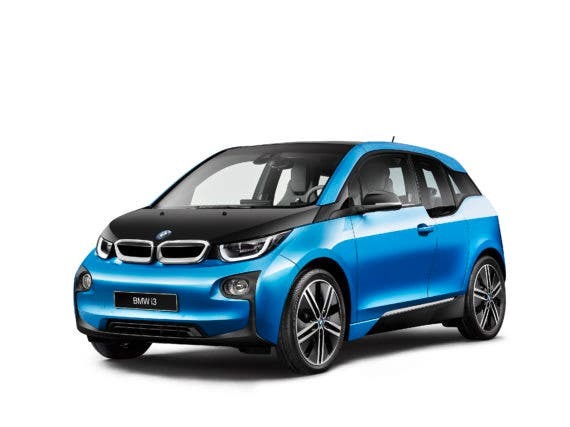 Electric vehicle have become a common sight on streets today, and many people have started to enjoy the quiet comfort, getting used to charging at night and silently doing errands. 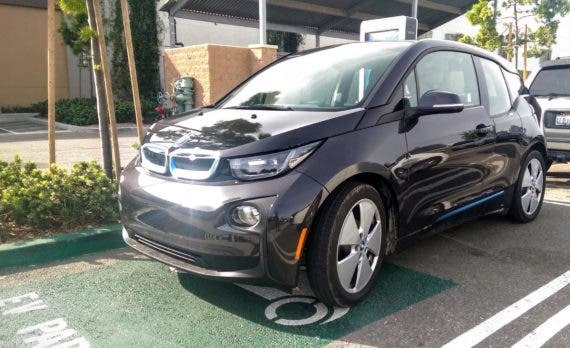 Photo of a BMW i3 at an EV charging station in California, by Kyle Field for CleanTechnica. 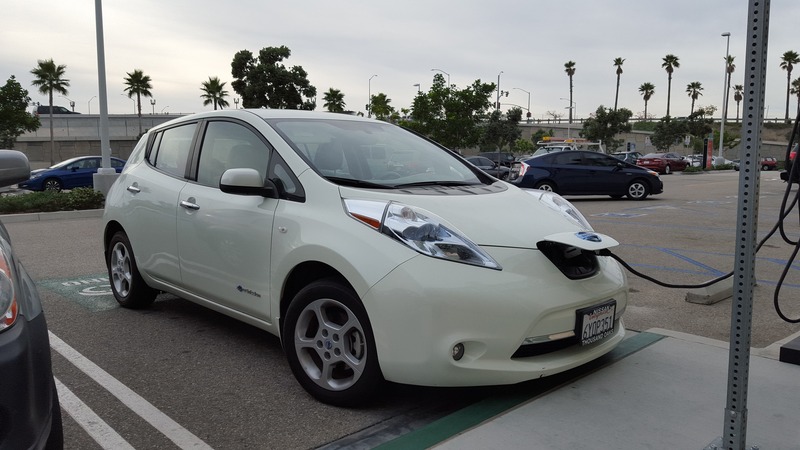 Photo of the Nissan LEAF Cynthia Shahan is reviewing for CleanTechnica, by Cynthia Shahan. Electric vehicles are new enough to wonder, how long will they last? This is not a simple question, because it depends on chemistries, sizes, operating conditions, and pack configurations. Most electric vehicle batteries are lithium based. When a lithium battery is charged and discharged once, it is called a cycle. Lithium battery capacity degrades as the cycle number increases. Battery cycle life is measured in cycles, with an industry standard of cycles to 80% capacity often used as a benchmark. What makes lithium batteries last a long time? Let’s turn that upside down. What shortens lithium battery life? Deep discharges or low voltage. Overcharging at high temperatures — what does that mean? When a lithium battery is charged, its voltage goes up slowly. When it reaches full charge, battery voltage is highest, and will not go up much more. The max voltage (V) varies with lithium cell chemistry. 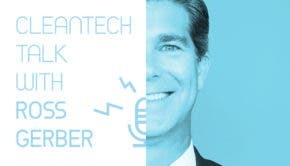 Chemistries ranging from laptop batteries to power tools using lithium-cobalt blends and blends containing manganese, nickel, and aluminum have terminal voltages around 3.9 to 4.2V. Lithium-titanate batteries charge to 2.85V. Lithium-iron-phosphate batteries charge to about 3.65V. Lithium battery voltage must be prevented from exceeding this voltage because it not only ruins battery life; it can lead to battery destruction or overheating and fire in some lithium batteries. Battery management systems (BMS) are used to control charging voltage so that the max charging voltage and temperature is never exceeded. High voltage also leads to another limit, called calendar life. When foreign matter builds up, it prevents the flow of ions at the electrodes. Lithium-ion batteries contain electrodes, conductors through which current enters or leaves the cell. In between the electrodes is an electrolyte, a solution used to conduct current between the cells. Conduction is achieved through exchange of ions between electrodes and through the electrolyte. The chemical interaction within the battery is called a redox reaction. When a lithium-bearing electrolyte comes in contact with the electrode, it forms a layer. The interface where the exchange of ions happens between the electrode and electrolyte is called the solid electrolyte interface (SEI) and this forms an SEI layer. Buildup of material blocks the flow of ions at the SEI layer at the end of calendar life. The SEI layer contributes to internal resistance. As the battery ages, the layer increases and internal resistance increases. At some point, the layer becomes large enough that no ions can pass and the battery life ends. This kind of battery lifetime limit is worsened the longer the cell is kept at maximum voltage and high temperature. The idea here is to avoid maximum voltage and high temperatures for extended periods of time. Battery manufacturers are aware of this, and keep their batteries at states of charge of as low as 40% to maintain battery capacity during storage and shipment. To increase cell calendar life, overvoltage and high temperatures must be avoided. At the other end of cell voltage and charge, for maximum cycle life, deep discharge must be avoided. The charge level in batteries is described in two ways. One description is called state of charge (SoC). If a cell is fully charged, it is said to be at 100% SoC. The other description is depth of discharge (DoD). If a cell is fully discharged, it is said to be at 100% DoD. That means a 100% SoC cell is the same as 0% DoD. SoC works like a fuel gauge. For maximum battery cycle life, 100% DoD must be avoided. Researchers have found that improvements in cycle life increase non-linearly as depth of discharge is reduced. achieved going from 100% to 50% DoD,” DeVries, Nguyen, and Op Het Veld write. Cycle life improves faster than DoD reduces, so that the total charge transferred is greater at lower depth of discharge. This is significant, because it means that a larger battery used at less than full discharge can be more economic and last longer than a smaller capacity battery used at full depth of discharge. If a battery pack is designed to have capacity providing long range, it is likely that daily charging will be at low depth of discharge. The impact of this on electric vehicle design is important. It means that the route to long range, high capacity, may also result in lower depth of discharge and longer life for a given battery chemistry. Further, if maximum charging is intentionally limited during most operation, battery calendar life may be extended. Finally, batteries are characterized by C rates. Simply put, a battery will be specified in amp-hours. An amp-hour is the amount of current the battery can pull in one hour. The C rate is defined in units of C, where 1C means the battery can be charged in one hour. If the battery is charged at 2C, it means the battery may be charged in half an hour. High-C-rate batteries can be charged or discharged very fast and produce a lot of power. Low-C-rate batteries have lower power. For lithium batteries of a given chemistry type, modifications can be made to raise or lower C. The tradeoff is higher energy capacity in kWh for lower C, or power. In a battery pack, more cells in parallel lower the peak current in each cell and allow each cell to operate at a lower C rate. In an electric vehicle application, the desired peak battery pack current can be reached with either a pack with more parallel cells (thus, larger energy capacity) or fewer parallel cells and a higher C rate. With parallel cells, a low-C battery can stay within its C limit. The impact of this on electric vehicles is that a battery pack sized for long range can have lower C rate and higher energy capacity. Exceeding C rates results in anode changes that degrade performance. Proper electrode operation depends on the electrode surface structure. That structure is changed if the C rate is exceeded. A number of benefits appear when an electric vehicle battery is sized for long range. A larger-capacity battery results in a lower average depth of discharge and consequently longer cycle life and lower peak charge/discharge rate. If maximum charge is limited to 80% under everyday driving conditions, maximum voltage is avoided. If the battery pack is also thermally controlled, both maximum voltage and high temperatures are avoided. In this way, controlled conditions can increase battery life substantially. Properly designed, an electric vehicle with large capacity battery may be designed to control conditions affecting battery life and result in a long-range vehicle with long battery life. We now have real-world evidence that controlling conditions in this way can result in long battery life. The Tesla Roadster achieves long battery life with lithium-cobalt batteries by controlling all four of the factors listed: temperature, maximum voltage or full charge, minimum voltage or depth of discharge, and C rate. A cursory analysis of electric vehicle mileage based on 100% discharge cycles yields an erroneous result because it does not consider the effect of reduced depth of discharge. With a range of over 200 miles, and an average daily mileage of about 30 miles, cycle life and mileage is extended. Daily charge defaults to 80% charge, limiting maximum voltage and extending calendar life. Calendar life increases by controlling pack temperature and limiting maximum charge to a short period of time because trips are taken soon after full charge. C rates are reduced and controlled because the pack current capability is large relative to charge and discharge rate. All those controlled conditions contribute to longer battery life and mileage. Tesla Roadster by Tesla Motors. 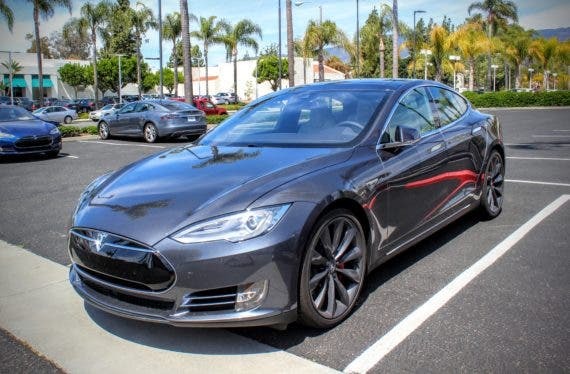 With better characteristics of NCA cells used in the Model S, even greater battery life performance may be possible. CleanTechnica Tesla Model S reviewer Kyle Field snapped this photo of a Model S P90DL in Santa Barbara, with Kyle’s Model S and a new blue Model S in the background. How far will each of these Teslas drive? Other manufacturers are continuing to increase electric Vehicle range and battery performance and life. Chevy has announced the Bolt with 200 miles of range, while both Nissan and BMW have let it be known they also intend to increase range. Operating conditions can have a dramatic effect on battery performance and lifetime. Battery life must be assessed from both operating conditions and battery characteristics to accurately determine results. If you see claims from outsiders about the cycle life of a company’s batteries, be sure to find out if they have correct assumptions regarding temperature, maximum voltage or full charge, minimum voltage or depth of discharge, and C rate.